Arizona officials release graphic video showing officer Philip 'Mitch' Brailsford opening fire on Daniel Shaver with an AR-15 rifle. WARNING: This video includes graphic content. A screenshot from bodycam video released by Mesa, Ariz., police shows Daniel Shaver before he was shot. 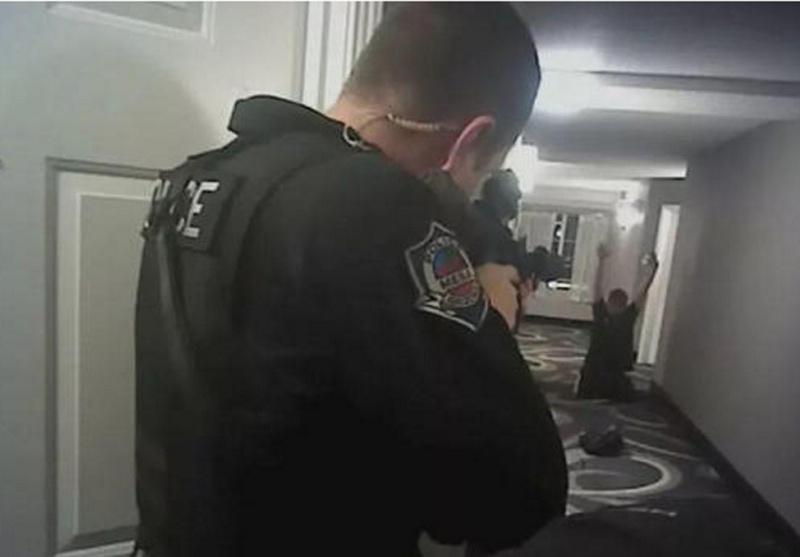 The graphic video, recorded by Brailsford’s body camera, shows Shaver and the woman leaving the hotel room and immediately complying with commands from multiple officers. The officer then has the woman crawl down the hallway, where she is taken into custody. Shaver remains on the floor in the hallway, his hands on his head.